R&A can provide practical solutions to all of your insurance regulatory and business problems. Staffed by experts in insurance accounting, solvency and finance matters, compliance issues, reinsurance, and actuarial science, we have assisted insurance companies, regulators and others across the nation and internationally for over 20 years. Our integrated approach to solving insurance problems, blend of public and private sector experience, and extensive contacts enable us to successfully handle even the most complex projects. Helping You Navigate the Regulatory System in any State and at the Federal Level. 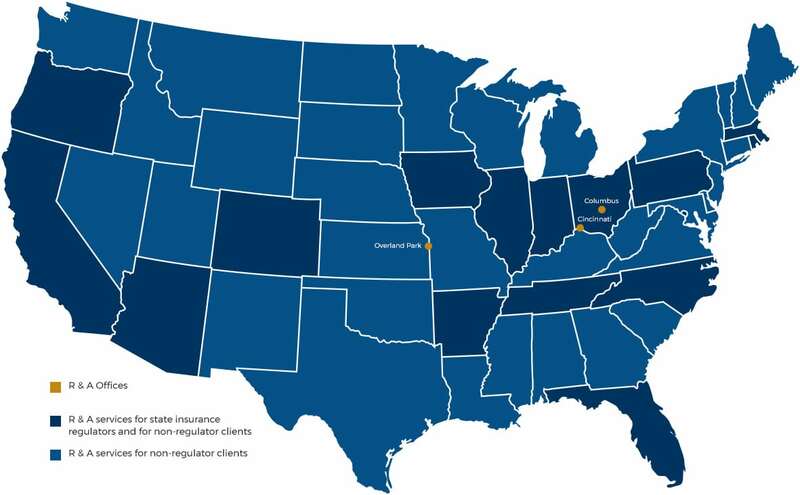 R & A assists clients across the nation with achieving practical solutions to insurance regulatory and business problems. We assist insurance companies, state insurance regulators, the National Association of Insurance Commissioners, law firms, and other business concerns facing insurance regulatory issues.